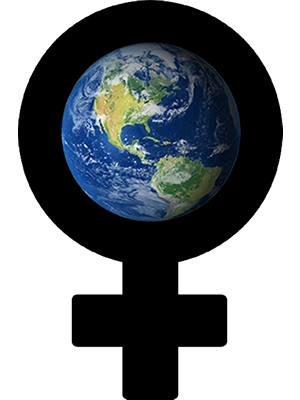 My feminist perspective was born and nurtured in my early years of providing psychotherapy to women in several different therapy collectives in the Boston and Cambridge areas of Massachusetts. As a feminist therapist, I believe that the development and socialization of women often fosters particular outcomes for women in our culture. The culture makes a home for violence against women, for example, although much recent progress has been made in regard to 'blaming the victim'. The backlash after adult survivors began taking their childhood abusers to court, however, created room in our culture for proponents of 'false memory syndrome'. In general, therapy is not as political as it is personal. The personal stories I have heard from hundreds of women about being female in our culture have a similar color to them. Women are balancers who need to manage family, work, stress, and self-nurturing simultaneously. This is a difficult task for the healthiest of women. We are socialized to be other-oriented. As a result, we often prioritize caring for others and not necessarily ourselves. We may also have trouble expressing anger, perhaps partly because we were taught that it was not ladylike to do so. And because of this other-orientation, we may have trouble being alone. We may need to learn to enjoy our own company, to give ourselves credit when it is due, and to feel valuable alone. If we don't value ourselves, we may be destined for relationships that are not good for us, simply in order to avoid being alone. Our socialization often does not encourage us to ask for what we need. Although selflessness is a virtue, it is also important to know ourselves and to assert our needs in the world. Not doing so may lead to low self-esteem and depression. For some women, low self-esteem may be connected with expectations about appearance and femininity. Some cope with body image concerns, or eating disorders. A growing number of women are also coping with infertility concerns. There are many losses that surround reproductive health concerns, i.e. miscarriage, abortion, adoption, infertility, and post-partum depression that are specific to women. Therapy with a feminist therapist's perspective can help women to feel more confident on their journeys to self-actualization.